…and we want to make sure you get to hear about it first. So check this page regularly for all sorts of news and titbits, as we continue on our journey to build something truly remarkable. Inavya has won a competition to research and develop its AVATR technology to benefit the National Health Service. The Office for Life Sciences and Innovate UK, as part of UK Research and Innovation, are investing up to £1.5 million in innovation projects such as AVATR. The competition is aimed at SMEs that have developed and manufactured innovative healthtech, including medical devices, diagnostics and regulated digital healthcare products. Inavya has been selected by The Enterprise Europe Council to join the Health Valley International Event in The Netherlands on March 13, where AVATR technology will be profiled. The aim of the event is to build international partnerships and set up innovation and research projects for Horizon 2020, Eureka/Eurostars programmes and INTERREG in the area of digital health, medical devices and personalized medicine. Represented by Inavya Director Mr Aymeric Teulon, the event will enable Inavya to expand its global network, receive advice on international grants and projects, and learn about healthcare innovations in the vibrant healthcare ecosystem of The Netherlands. Astra Zeneca - China has extended an invitation to Dr Peter Sahota to present AVATR technology at the “2019 Healthcare IoT Innovation Ecosystem Summit & the 2nd Commercial Innovation Partner Conference” in Wuxi, China on March 7-8th, 2019. With the ever increasingly clear application scenarios for the innovative and integrated “patient-centric” diagnosis and treatment solutions, AstraZeneca and partners are committed to further accelerating the cooperation into the next phase to apply Internet of Things (IoT), big data and artificial intelligence (AI) to enhance the efficiency and accessibility of healthcare service through synergising the expertise and strengths of the partners in the industrial sector. Inavya’s Dr Peter Sahota, who is a Mandarin speaker, will present AVATR and join the 2nd CCIC Partner Conference with the theme of “Cooperation, Enhancement, and Change”. The event will be held at the Wuxi Health IoT Innovation Center, which is a global centre for healthcare innovations based in China. AstraZeneca has invited more than 200 senior executives from more than 100 partner companies globally to attend this conference. The aim is to jointly set the overall direction and objectives of 2019, explore viable cooperation models, and work together to incubate commercial innovation models. Today Dr Michael Wilkinson, CEO and Founder of Inavya, joined a panel of experts for the launch of the Brazil Tech Award 2019 at the Digital Catapult in London. Brazil is home to the world’s eighth largest economy, the seventh biggest IT market, fifth largest number of mobile phone and internet users, and the third largest recipient of Foreign Direct Investment in 2017. 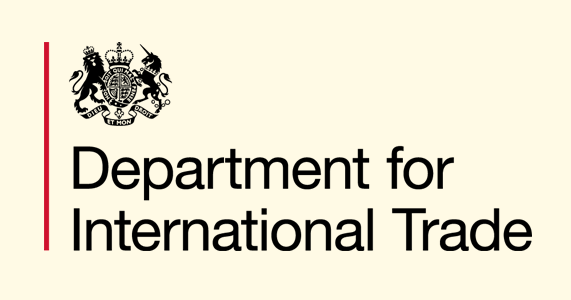 Brazil is a strategic market for the UK Department for International Trade. The UK government Department for International Trade has invited Inavya Ventures Ltd (AVATR) and four other UK startups to join the UK stand and participate at the UNBOUND Festival in Bahrain on 6-7 March. Aymeric Teulon, Director of Inavya Ventures Ltd, will represent the company, and strengthen the initial engagement between Inavya and the Bahrain Economic Development Board. This will go a long way to helping establish the AVATR brand locally, and hopefully lead to the implementation of a compelling demonstrator within the Middle East. The festival will also provide a great opportunity to network with 3,000+ startups, investors and businesses, who will travel to Bahrain to hear from 100+ influential speakers, uncover pioneering ideas and take part in immersive brand experiences, hackathons, startup battles and networking sessions. Over the past week, AVATR UX design leads - John Walters and Christopher da Costa - have been engaged directly with clinicians from the Albert Einstein Hospital in São Paulo to further develop AVATR technology. The aim of these workshops is to position AVATR as a resource to support improvements in clinical outcomes and to reduce healthcare costs, as well as to improve patient experience while outside of hospital. Our engagement with Einstein Hospital is part of Project CityZen, a smart cities Newton Fund initiative that is led by Inavya, in partnership with Future Cities Catapult and Space Syntax in the UK. Our partners in Brazil are CPqD and Industria-I. AVATR continues its engagement with the China market as part of a ten-company UK delegation hosted by Innovate UK, 100%Open, China-Britain Business Council, Future Cities Catapult and Department for International Trade (DIT). The Mission started today, with Dr Peter Sahota presenting AVATR to leading officials from Ping-An Insurance Company. Dr Sahota, who is a Mandarin speaker, will next present AVATR to leading officials from Huawei. Following meetings with additional companies and government officials from Shenzhen and Guangzhou, Dr Sahota will be attending a number of commercial meetings in Shanghai, with a view to developing strategic partnerships to enable AVATR to enter the China Market. It’s very clear from the level of interest in AVATR that China shares a pressing global challenge to control rising healthcare costs and improve clinical outcomes. AVATR was selected for a 3-minute pitch to a panel of several representatives from the UK’s top angel investment groups (including SyndicateRoom, Nesta, Seedrs, Microsoft Accelerator, Angel Investment Network, AngelCoFund, Startup Funding Club and many more). Our pitch successfully topped 50 other startup applications and was awarded the opportunity to exhibit AVATR’s AI technology and strategy in front of the Angel Investing Hacker Panel. The competition formed part of the Business Funding Show’s Annual Investment Conference, which was held in London on the 13th of November 2018. Aymeric Teulon and Peter Sahota were pleased today to host the investment and development delegation from the China (Fujian) Foreign Trade Center at our new Geovation office in Clerkenwell, central London. We had the pleasure to welcome General Manager of Investment and Development, Zeng Zhiyun, and discuss the challenges around elderly care in the Fuzhou region. We also discussed how AVATR could help as a platform as they develop a new state-of-the-art residential development for elderly citizens. Aymeric Teulon, Director of Inavya Ventures Ltd, has been invited by the UK Department for International Trade to join a small group of UK companies on a technology mission to Singapore. 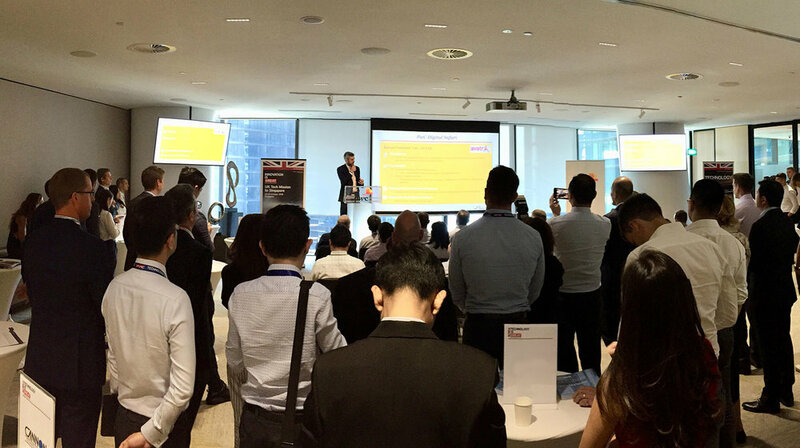 The mission started on 22nd Oct, and is taking place at PwC Offices Marina One in Singapore, which includes facilitated ASEAN market business development opportunities led by PwC. Aymeric is meeting representatives from a range of insurance companies, telecoms companies, hospitals and investors from throughout the ASEAN market, all of whom have expressed a strong interest to explore collaboration with AVATR. During the visit, Aymeric will also be advancing discussions to establish a Singapore company, which will serve as the ASEAN hub for AVATR medical services. AVATR has been selected to join The Nordic Angel Program, starting Oct 2018 in Oslo. As part of the EU’s €80-billion initiative “Horizon 2020”, The Nordic Angel Program (NAP) enables cross-border startup and scale-up investment to support high-potential companies that are ambitious and need wings to expand internationally. In the past, startups/scaleups in the United States have had access to larger pools due to many factors, including a larger, borderless economy. Europe’s “Horizon 2020” initiative is working to close that gap by enabling better cross-border investment collaboration. Larger startup and investor pool plus more/stricter selection/due diligence with international expertise = Higher success rates for ideas, and investors. Inavya scientist, Dr Peter Sahota, has been selected by the UK Science and Innovation Network and InnovateUK to join a group of 15 on its UK Future Cities Mission to China in November 2018. 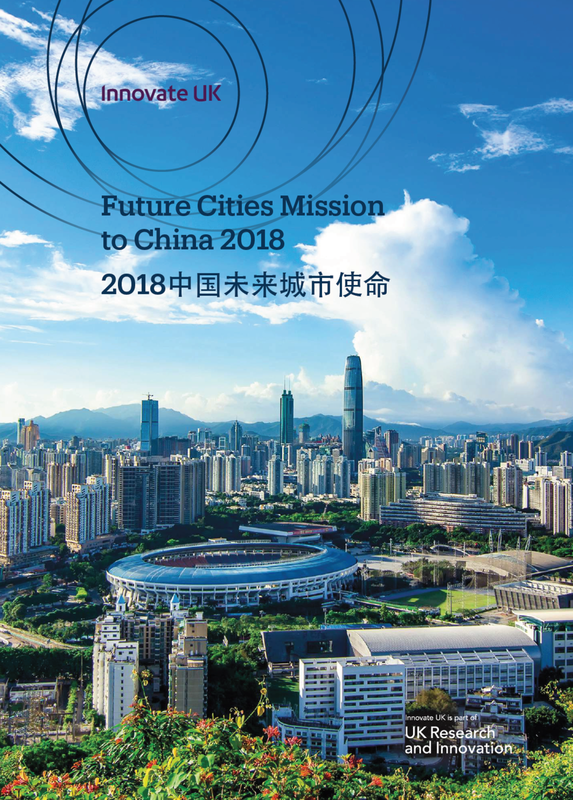 During the visit, Dr Sahota will be joining officials from 100% Open, the China-Britain Business Council, and Future Cities Catapult on visits to pioneering future cities projects in China’s Greater Bay Area, centred around Shenzhen. The city is a global technology hub for internet start-ups - including Tencent and Huawei - and rivals Tokyo, San Francisco and New York. Future Cities Catapult (FCC) has launched its UK Future Cities Business Portfolio for China, AVATR is profiled as 1 of 38 UK advanced urban services companies that are looking to build partnerships with China. In publishing this portfolio, FCC aims to help UK companies not only apply their urban innovations to cities in the UK, but also gain greater access to opportunities in high growth overseas markets. China has more than twice as many people living in cities as any other country, and a strong drive to leverage technology to tackle urban challenges. This makes it an important partner country for FCC’s international work. FCC say, "The portfolio was formally launched at The Fourth China Smart City International Expo 2018 in Shenzhen by our CEO Nicola Yates, in a ceremony observed by the UK’s Parliamentary Under-Secretary of State for International Trade Graham Stuart MP. As part of the activity around the launch we have been working in partnership with the UK Science and Innovation Network to lead a mission to China with six of the companies that feature in the portfolio, engaging with Chinese business and government leaders along the way." From the workplace to the smart home, and how we communicate and organise our cities. Across the world, technology is changing lives, and wherever you look — and whichever sector you look at — you’ll find innovative UK tech companies leading the way. The UK is one of the world’s great technology ecosystems. It is home to thousands of dynamic, high quality and innovative companies – from the most exciting new start-ups to global brands with with centuries of history. This year at World Cities Summit from 8-12 July in Singapore, the UK government has selected nine of the UK’s most innovative companies and organisations - including Inavya - each offering diverse solutions for the smart cities of today and tomorrow. Avatr technology will be profiled as part of Inavya’s future city work in Singapore and São Paulo. 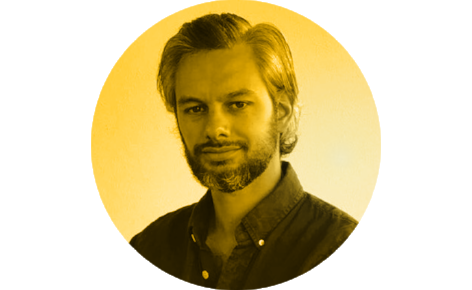 With design for healthy city living seen as increasingly important, our designers and UX specialists Christopher da Costa and John Walters will be on-hand to share their experience with participants from over 125 regions globally. We’re off to Paris ! AVATR has been selected for the final auditions round of the K-Startup Grand Challenge 2018, having been selected by independent judges as one of the most promising European startups. Aymeric Teulon, Director of Inavya Ventures, will be at Station F on the 11th July to pitch AVATR. If selected in this round, Inavya will participate in a 3-month Korean accelerator programme, sponsored by the Korean Government. K-Startup Grand Challenge is a project conducted and financed by the Korean government. Ultimate objectives of the K-Startup Grand Challenge are to promote the expansion of an open entrepreneurship ecosystem in Asia and to assist in South Korea’s evolution into a prominent startup business hub in the region. Selected startups get invited to the Startup Campus in Pangyo Techno Valley, Seoul, South Korea from August to December 2018. Inavya Ventures was recently selected among 10 other top London startups to participate at the TechInvest pitching event (11 June at Rise London). The Mayor of London’s TechInvest Programme is part of a series of similar events supported by City Hall, in partnership with UK Business Angels Association. This London-based series is aimed at showcasing the Capital as a global hub for tech innovation, by inviting London’s most ground-breaking tech entrepreneurs to pitch their businesses to leading investors in the industry. The 3rd event in this year's programme was dedicated to showcasing London’s top 10 ‘Smart City’ tech innovators - a ‘Smarter London’ combines data and technology for the positive growth of the city. It mobilises the power of data as the fuel for innovation to design and develop safe, open and inclusive solutions for Londoners over the next decade and beyond. Download a copy of the event brochure here. Inavya Ventures has been selected to showcase AVATR at the International Business Festival on the sector-themed day: Health & Life Sciences. It will take place 26 June in Liverpool, and on the Future Stage. It’s an extraordinary business showcase event. Eight high-calibre businesses, will seek transformative scale-up investment, by pitching their innovative, new business ideas to a distinguished panel of representatives from UK Business Angels Association. This is one of the largest Business Angel Investor events in the UK, and represents a fantastic opportunity for AVATR to showcase its technology to potential future partners and investors. Aymeric Teulon has been invited by the London Business School's China Club to co-host the 7th Edition of the China Business Forum in London on the 25th May. The Rising Influence of China: How China's flagship Belt & Road Initiative influences East-West co-operations. Sinovation: Deep dive into some of the best and most evolutionary Chinese innovations. Ning Tang - Founder and CEO of CreditEase, the first fintech company IPO from China in the global capital markets (NYSE listed). The forum is committed to offering its participants opportunities to explore the latest business trends, share innovative business ideas, discuss potential business opportunities and network with world business leaders. Naturally, this is a tremendous opportunity for Inavya Ventures to develop its international reach and exposure. Aymeric Teulon Appointed Director at Inavya Ltd.
Aymeric Teulon has been officially appointed as a Director at Inavya Ventures Ltd, joining Dr Michael Wilkinson, Aleardo Furlani and Della Fealy on the board of directors. Aymeric has been involved with Inavya Ventures Ltd and the development of Avatr for the past 12 months, helping consolidate operations and investor relations. He will be representing the company next week at the 7th China Business Forum organised by the London Business School, as co-host of the event. Over the past 2 weeks Dr Michael Wilkinson concluded a series of trade missions to the APAC region, sponsored by the Department of international Trade (DIT) and Innovate UK. The Singapore Health Tech Mission and Futures Cities Mission to Australia was a extraordinary opportunity to showcase AVATR to a panel of government officials, corporate representatives, potential investors and business platforms in the region. It also attracted significant media coverage, including an article in Forbes Magazine and a notable mention in The Enquirer. Meanwhile, in China, Dr Jaspal Peter Sahota attended the 1st Global Expert Summit (GCES) in Ningbo, as well as the Shaanxi British Technology Industry Project Promotion Conference in Xi'an. Here, AVATR attracted extensive coverage in the local media, including a piece in the Sina News. Following the conference, key local incubators and corporates liaised with Dr. Sahota, paving the way for significant partnerships and collaborations in the future. In London this week, Aymeric Teulon was invited by the China British Business Council (CBBC) to present AVATR to a delegation from the Guiyang Hi-tech Committee. The committee is the main organising body for the Guiyang Big Data Expo, which will take place between 26th – 29th May. The Guiyang Big Data Expo is China’s main national level event for the big data industry, attracting 20,000 visitors from over 60 countries. Large company delegations from the UK attended the Expo in both 2016 and 2017, and CBBC/DIT is planning to organise a delegation for this year’s event in May. This kind of exposure confirms a massive interest in our user-centric, device-agnostic AI and machine learning technology - especially when it puts the user squarely at the centre of their own digital world.